President Trump is reportedly weighing a shake-up in his administration. The president is considering a "huge reboot" that could include chief of staff Reince Priebus, chief strategist Stephen Bannon and press secretary Sean Spicer, Axios reported early Sunday, citing White House sources. The move comes at the urging of longtime friends and outside advisers, according to the news outlet. "He's frustrated, and angry at everyone," an unidentified confidant told Axios. "The advice he's getting is to go big — that he has nothing to lose," the confidant added. "The question now is how big and how bold. I'm not sure he knows the answer to that yet." Sources also said Trump feels he is not being well-served by some members of his Cabinet. My prediction last week that Spicer wouldn't survive the coming week looks pretty good. I think that'll happen. 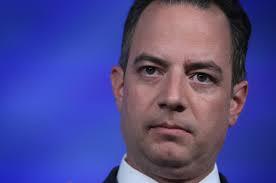 The other two are harder to gauge -- I think if he fires Priebus, he hurts himself with the Republicans in Congress. If he fires Bannon, he'll alienate the Mercers, perhaps his most important backers. Looks like it's going to be a be a bumpy ride this week. Buckle up!